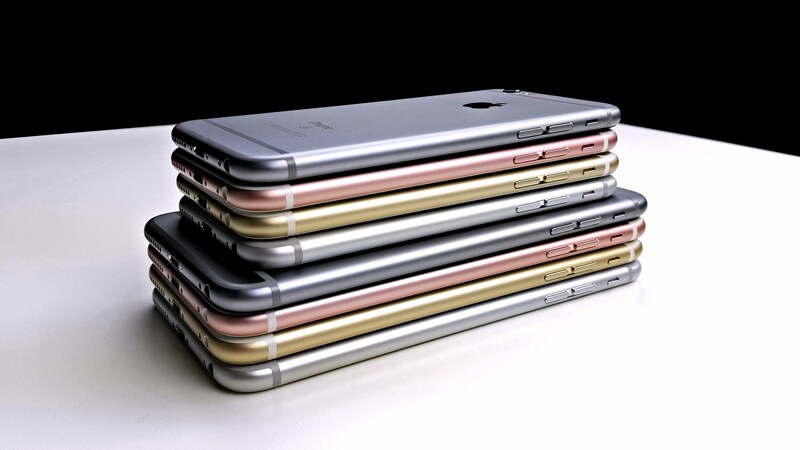 iPhone 6S Model (A1633, A1634, A1688, A1687, A1699, A1700) What are the differences. HomeAppleiPhone 6S Model (A1633, A1634, A1688, A1687, A1699, A1700) What are the differences. iPhone 6S Model Numbers: The mega price drops in old iPhone with the announcement of release date of iPhone Xs or iPhone 9 makes many old Android users to have their hands on these iPhones. As the Android users are quite well informed about the device variants and model numbers. So they are more keen in smartphone model numbers and the specification differences in different smartphone variants. So today we are looking into the iPhone 6S and iPhone 6S Plus model numbers. specifically we are talking about all the iPhone 6S & Plus models which starts with A1633, A1634, A1688, A1687, A1699 and ends with model A1700. Apparently all these iPhone 6S and 6S Plus have got the same designs and hardware features. But from inside, these models have different antennas and in some cases different GPS chips, which make them a part from other devices. There are more then 23 Antena bands now available in these iPhone 6S smartphone models. While there were only 20 available in the previous model. This will allow Apple to cover more LTE Bands then before. This has been updated in the recent Apple devices list as well. First we will talk about the iPhone 6S Models. This is the smaller variant of the the 2 6S series devices. It has the footprints of iPhone 6. The smaller 4.7 inch IPS LCD Display has the standard 750 x 1334 resolution with the 16:9 screen ratio and a 326 ppi pixel density per inch. The device is quite powerful with the Apple A9 Chipset supported with a PowerVR GT7600 six core GPU. The main camera on the device is 12 megapixel with f/2.2 aprature, while another 5 megapixel unit is located on the front as the Selfie camera. The iPhone 6S comes with a 1,715mAh non-removable battery. Here are three different models of the iPhone 6S. The 4.7-inch iPhone 6S comes in 3 model numbers, A1633, A1688 and A1700. Apple has made iPhone 6S A1633 model as a carrier specific one. It was first only available on AT&T listed phone. But later the vendors made it available as an un-locked unit as well from the official Apple stores. The main features that makes it different from its counterparts is the availability of all 23 LTE Bands on this model. It supports LTE bands 1 (2100 MHz), 2 (1900 MHz), 3 (1800 MHz), 4 (AWS), 5 (850 MHz), 7 (2600 MHz), 8 (900 MHz), 12 (700 a MHz), 13 (700c MHz), 17 (700b MHz), 18 (800 MHz), 19 (800 MHz), 20 (800 DD), 25 (1900 MHz), 26 (800 MHz), 27 (800 SMR), 28 (700 APT MHz), 29 (700 de MHz), 30 (2300 WCS); TD-LTE bands 38 (TD 2600 MHz), 39 (TD 1900 MHz), 40 (TD 2300 MHz), 41 (TD 2500 MHz); GSM/EDGE (850, 900, 1800, 1900 MHz); TD-SCDMA 1900 (F), 2000 (A); CDMA EV-DO Rev. A (800, 1700/2100, 1900, 2100 MHz) and UMTS/HSPA+/DC-HSDPA (850, 900, 1700/2100, 1900, 2100 MHz). This is the Global variant of the iPhone 6S. It support all LTE bands except the LTE Band 30. Without this frequancy, it’s not able to connect with the 2.3 GHZ spectrum used by the AT&T networks. So in case you are getting an iPhone 6S and you are using the AT&T carrier, make sure to have a look at the model number of the device. This specific model of the device also works with the GSM and CDMA carriers as well. This iPhone 6S model A1700 was especially designed for the Chinese markets. With the special new spectrum of LTE bands for the China Unicom, China Telecom and the China Mobile carriers. Most of the LTE bands specs sheet resembles with the A1688 model of the iPhone 6S. But with the new FDD-LTE (bands 1, 2, 3, 4, 5, 7, 8, 12, 13, 17, 18, 19, 20, 25, 26, 27, 28, 29), TD-LTE (bands 38, 39, 40, 41), TD-SCDMA 1900 (F), 2000 (A) support. It has extra advantage of working with many Asian carriers. Beside this the CDMA EV-DO support is also enabled in this model. CDMA EV-DO Rev. A (800, 1700/2100, 1900, 2100 MHz), UMTS (WCDMA) / HSPA + / DC-HSDPA (850, 900, 1700/2100, 1900, 2100 MHz) and GSM / EDGE (850, 900, 1800, 1900 MHz). 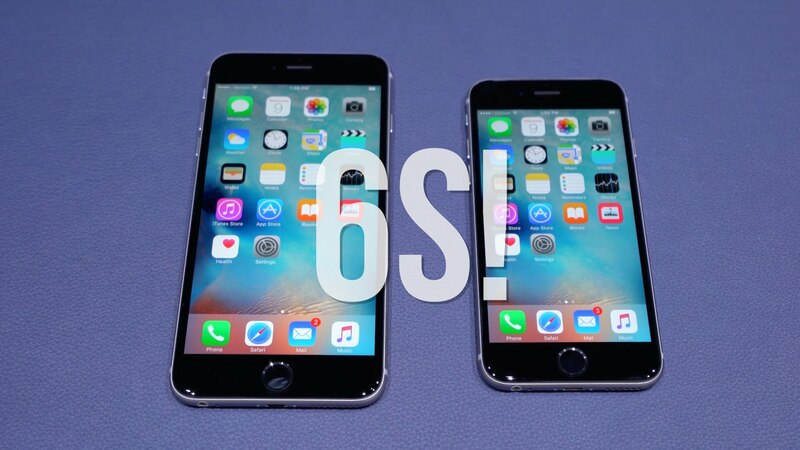 The larger 5.5-inch variant of the 6S series known as iPhone 6S Plus also comes with the three different models. The A1634, A1687 and A1699 versions . The GSM & CDMA variant of the phone was designed and delieverd mostly for the US carriers like AT&T while it roams around for NET10, US Cellular and Cricket too. The LTE Bands and Network Category It supports are given as below. This is the standard or the Global variant of the iPhone 6S Plus. So in most cases the iPhone 6S Plus that you are using might be classified under this A1687 model. It mostly comes with the same GSM and CDMA models mostly for the US cellular carriers. You can see many being sold at AT&T, Verizon and other European and Asian carriers. This specific model of the iPhone 6S Plus is used for the Chinese Cellular providers. You can see many iPhones with A1699 model series being sold at China Telecom, China Unicom and China Mobile franchises. The best thing about these smartphones is that they are roaming free and can work on almost all networks around the globe. So there we are with all the latest iPhone 6S and iPhone 6S Plus models. Keep in touch as we will be bringing more iPhone Models and their details for you in our future posts.